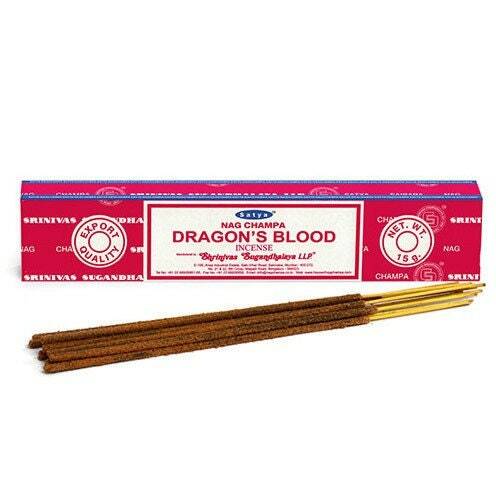 Satya Nag Champa Dragon's Blood Incense Sticks. Satya Dragons Blood Incense, 15 grams, sticks burn about 1.5 hours, for protection and house cleansing. Fragrance is smooth and comforting.